Today's is a date that will live in infamy in British Columbia. On the 20th anniversary of the precedent setting Delgamuukw decision on First Nations rights and treaty-making, the New Democratic Party has turned its back on First Nations' objections to a mega project that will submerge the spirit of that decision, washing away those rights as surely as the rising waters of the Peace River. 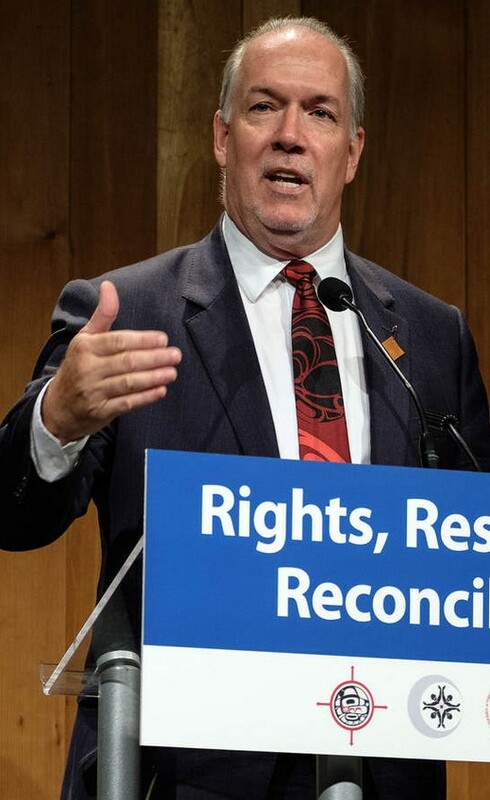 In announcing the decision to continue the controversial project, NDP leader, John Horgan insisted, "I had no choice." Now, it's clear, voters in BC have no political alternative to the corporate BC Liberals, who initiated Site C, a project not only environmentally, culturally, and politically devastating for the province, but also a white elephant certain to be financially crippling for generations to come. 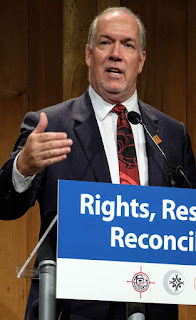 As disappointing as the NDP volte-face on Site C has been, the tepid objections to it raised by Green Party of BC leader, Andrew Weaver convinces too, any hope British Columbia's polity had to reverse the rapine, business as usual, corporate friendly ideology emanating from Victoria will have to wait at least another generation. For those voters wishing real change, Horgan's weak invocation of "no choice" today rings with a bitter irony his party will soon learn to its' regret.